On the morning of September 15, 1963, a bomb exploded outside the Sixteenth Street Baptist Church in Birmingham, Alabama, killing four young girls. Thirty-two years later, stymied by a code of silence and an imperfect and often racist legal system, only one person, Robert “Dynamite Bob” Chambliss, had been convicted in the murders, though a wider conspiracy was suspected. With many key witnesses and two suspects already dead, there seemed little hope of bringing anyone else to justice. But in 1995 the FBI and local law enforcement reopened the investigation in secret, led by detective Ben Herren of the Birmingham Police Department and special agent Bill Fleming of the FBI. For over a year, Herren and Fleming analyzed the original FBI files on the bombing and activities of the Ku Klux Klan, then began a search for new evidence. Their first interview—with Klansman Bobby Frank Cherry—broke open the case, but not in the way they expected. 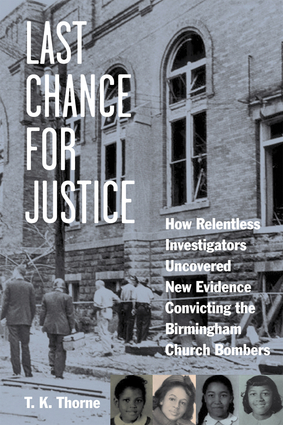 Told by a longtime officer of the Birmingham Police Department, Last Chance for Justice is the inside story of one of the most infamous crimes of the civil rights era. T. K. Thorne follows the ups and downs of the investigation, detailing how Herren and Fleming identified new witnesses and unearthed lost evidence. With tenacity, humor, dedication, and some luck, the pair encountered the worst and best in human nature on their journey to find justice, and perhaps closure, for the citizens of Birmingham. “A page-turner, as well as an important addition to the historical record. . . . A thought-provoking work.” —Frye Gaillard, writer in residence at the University of South Alabama, author of Cradle of Freedom: Alabama and the Movement That Changed America. T. K. Thorne served as an officer in the patrol and detective bureaus of the Birmingham Police Department for more than twenty years, retiring as precinct captain in 1999. 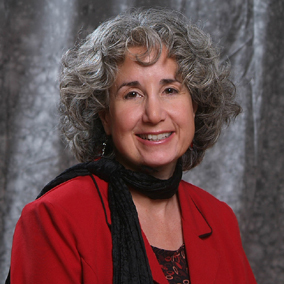 She is the author of an award-winning historical novel, Noah’s Wife.